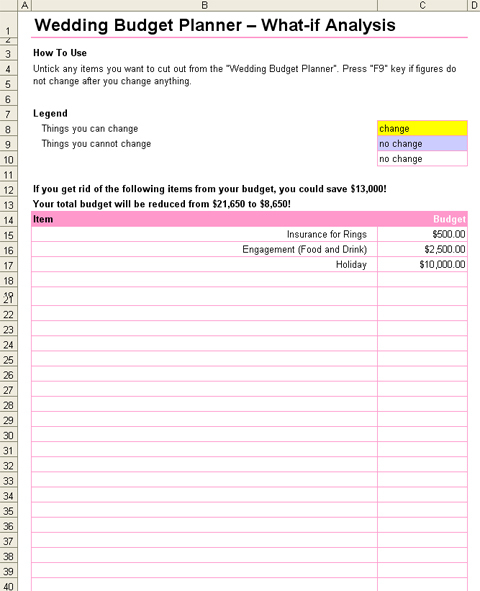 This Wedding Budget Planner Spreadsheet will help you plan and control your wedding budget better. Wedding Budget Planner Spreadsheet has more than 100 items in 12 major categories that you can plan for your dream wedding. You can also record what you actually spend on each item so that you can compare your budget and your spend to see if you have a wedding budget blowout. The easy-to-follow wedding budget vs spend chart shows you this comparsion in a more visual way. You can tick off any items to see how much you can save. 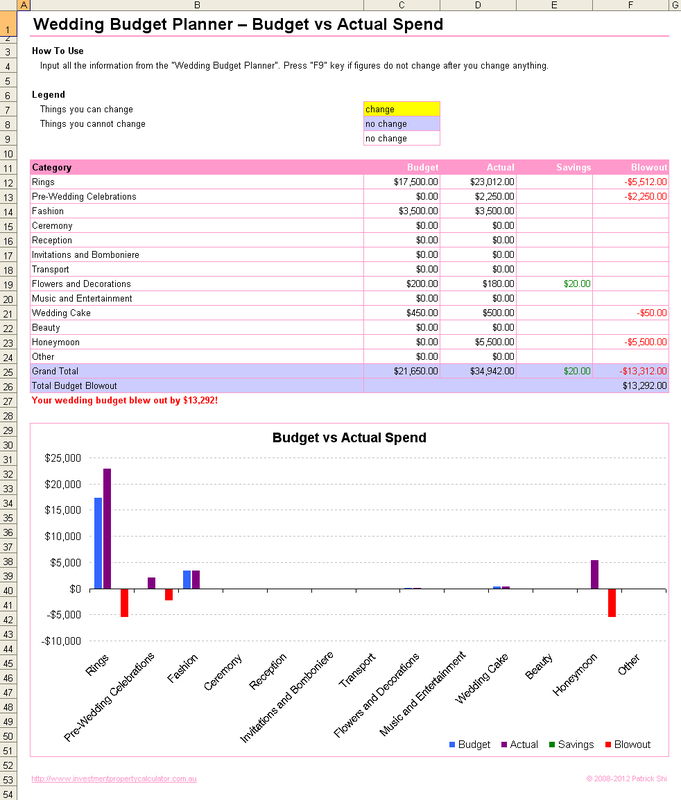 Here is a screen shot of the Wedding Budget Planner Spreadsheet. I believe that it will help you to understand how to use this free wedding budget planner spreadsheet and how it can help you. 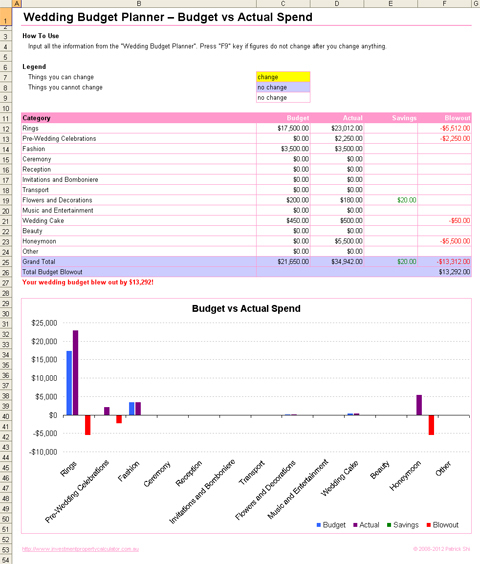 Download FREE Wedding Budget Planner Spreadsheet Now!